Editors and readers selected the books to include. Thanks for choosing Writer Mama! To download the guide, visit http://wow-womenonwriting.com/. Thanks for the compliment, Aline! Well, it sure has been busy around here with the second book rewrite and my full class schedule with all my awesome and hard-working students. But I’m steppin’ out a few times this month and there is nothing I like better than hanging out with other writers when I do. In fact, there probably isn’t a better time to catch me this month (cuz my plate is overflowing with good things!). So, if you’d like to connect, please consider attending these awesome events! 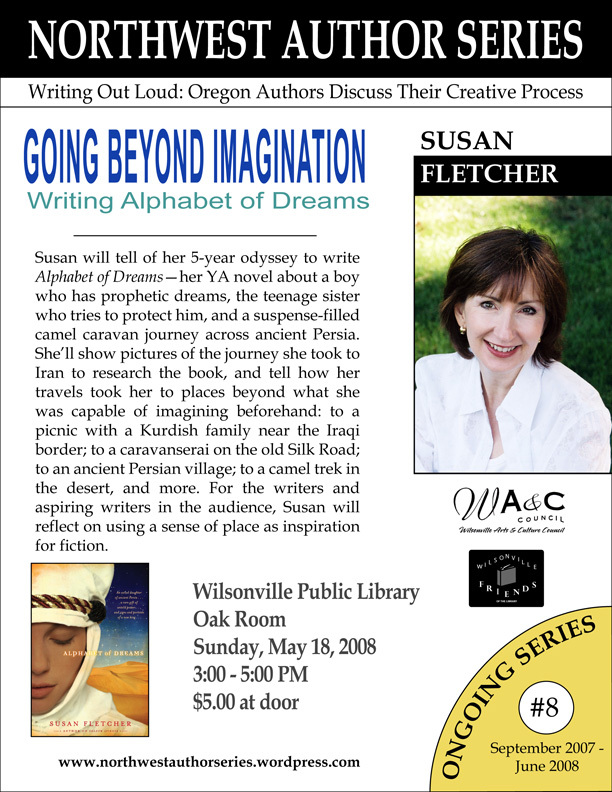 Saturday, May 18th: The Northwest Author Series Presents Susan Fletcher, Author of Alphabet of Dreams, at the Wilsonville Public Library from 3-5 p.m. Cost: $5.00 at the door. Marco, The Musical! Don’t Miss It! Jason and I dashed Samantha over to a friends and then zipped up into the city to see the fabulous Marc Acito perform Marco, The Musical! Actually, we zipped a bit too much and overshot our turn. Someone who knows please tell me why men get so upset about getting lost? Fortunately, I finally asked my (exhausted, so I cut him some slack) husband to please stop so I could ask a nice fellow who was loading his bike into his car (this is Portland after all) where we went wrong. Anyway. We got there. And we were so glad we did. Even Jason has to admit that it was totally worth getting slightly lost for the pleasure of an evening of laughing uproariously. OMG, hilarious! I was dying! Cannot WAIT to read Attack of the Theater People. I will definitely post an Amazon review as soon as I do. I hope you will read it and post a review too. And definitely see Marc, if you get a chance. We all need to laugh uproariously sometimes. If you just can’t make it to an appearance, you can always read Marc’s hilarious blog or just check out his Hair Museum at his website. Go, Marc! Hope to see you on the bestseller list soon. Thanks to Sandy over at Coolstuff4writers.com for inviting me to do an interview for their newsletter/site. And check out their “cool stuff” while you are over there. Here’s a cool women writers mug. The women writers book bag is cool. And here’s a Jane Austen mug. Thanks to Allena Tapia. It’s always a great feeling to know that your hard-wrought words are in the hands of conscientious and appreciative reader. Which only fuels my fire to work twice as hard on my Get Known Before the Book Deal rewrites, which I have received back from my editor. The best part of my editor’s feedback on my forthcoming second book? And a couple of new success stories (scroll down) from Joanna and Andrea on the Success Stories page of this blog. 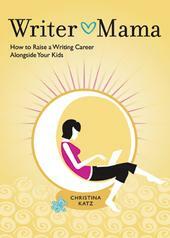 Do you have a success story related to Writer Mama or a class with Christina Katz? Share your success with us! It’s a great opportunity to appreciate all of your hard work and celebrate it with other writer mamas! Post it here (in the comments).